George Wolfe believes that every family should be able to enjoy the peace of mind and security that comes from careful planning and expert advocacy. In times of loss and death you also need an experienced advocate. 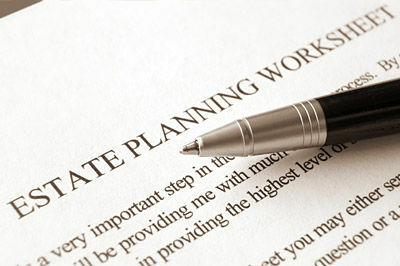 If you need a Columbus estate planning attorney, please contact Wolfe Legal Services today for a free consultation. Without estate planning, you have no say in who inherits your money. Your family can end up paying taxes, and probate could be complicated, stressful, expensive, and time consuming. Why have your loved ones go to court when it can be easily avoided? If your loved one has passed away, we can assist you in efficiently administering an estate and navigating the probate process. Probate can be complicated, stressful, and expensive. Assets in the deceased person’s name will need to be probated, and that can be a intimidating process. If you are named in a person’s Last Will and Testament and have no idea what needs to be done, that is OK. At Wolfe Legal Services, we offer legal representation to estate administrators and executioners. If there is a dispute regarding the validity of a will or the way the estate is being administered, we will work diligently to resolve the issue quickly and to your satisfaction. Interested in our estate planning or probate services? Feel free to contact us today.